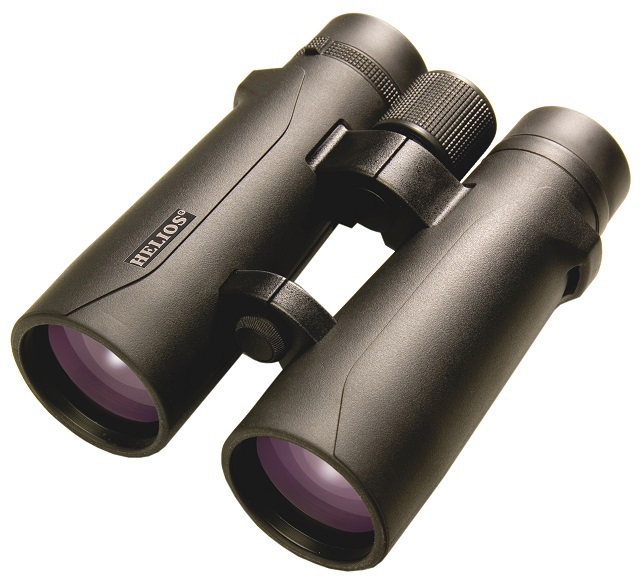 The new Helios Nitrosport 10x50 roof prism binoculars feature a stylish modern open hinge design, making them lightweight and easy to handle. Great for birdwatching and general observing, featuring high index BaK-4 prisms. They also have the additional benefit of phase-coated and silver-coated prisms for increased brightness and image contrast, as well as being fully multi-coated on all glass to air surfaces. Supplied with neck strap, eyepiece rainguard and soft case.